In honor of Prometheus hitting theaters today, I decided this was the perfect time to take a look at Ridley Scott's career. 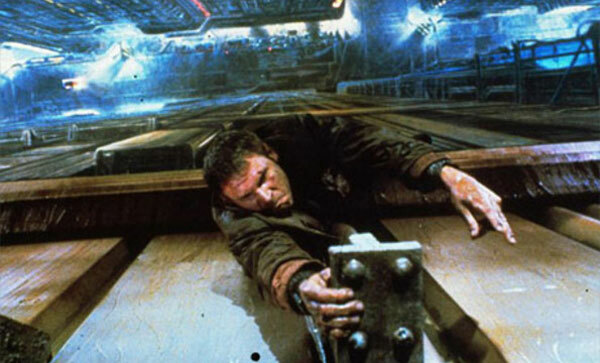 Although both Alien and Blade Runner arrived three decades ago, they remain his most highly regarded films. It's amazing that he only directed one movie (The Duelists) prior to creating this wonderful duo. I'm hoping that his new picture will live up to those classics, though I've already seen glimpses of some disappointing responses. Regardless, Scott has created a diverse collection of movies over the years. The 75-year-old has directed some duds (1492: Conquest of Paradise, Robin Hood), but he remains an interesting figure in the film world. The list below is top heavy and may be predictable, but I hope it includes at least a few surprises. 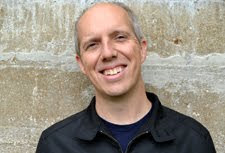 I'll admit that I haven't watched a few options like A Good Year, White Squall, and Someone to Watch Over Me, but I've caught most of Scott's work. I've seen things you wouldn't believe, actually. Here comes the list! 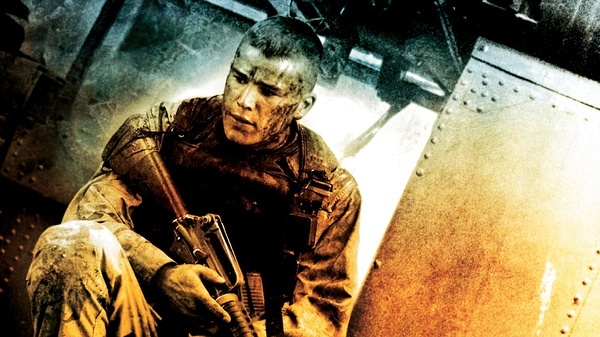 I wouldn't call myself a big fan of war films, particularly those that glorify the military. That said, it's hard to deny the power of the methods Scott uses to place us directly inside the conflict. It's a brutal story and works because Ken Nolan's screenplay avoids sentimentality. Coming three years after Saving Private Ryan, this movie takes the intensity of the Normandy sequence and extends it across the entire picture. The risk is beating the audience into submission, and certain moments threaten to cross the line. Supported by a strong group of young actors like Ewan McGregor, Josh Hartnett, and many others, Scott finds a way to keep us engaged while thrilling us in the process. 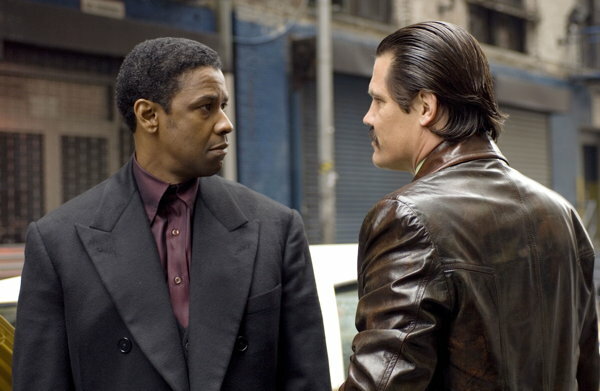 Expectations were so high for the combination of Scott, Denzel Washington, and Russell Crowe that American Gangster was bound to disappoint. Most people enjoyed it but felt let down because it wasn't the gangster classic they expected. Considered apart from the hype, this is still a pretty impressive story and one of Washington's few memorable performances in the past decade. Crowe is also in top form, and a good supporting cast of Chiwetel Ejiofor, Josh Brolin, Ruby Dee, and John Hawkes sells the material. The only downside is its inability to stray far enough from the formula, which makes the story a bit too predictable to become a true classic. Similar to my previous pick, this is another example of a movie that struggles to live up to the hype. 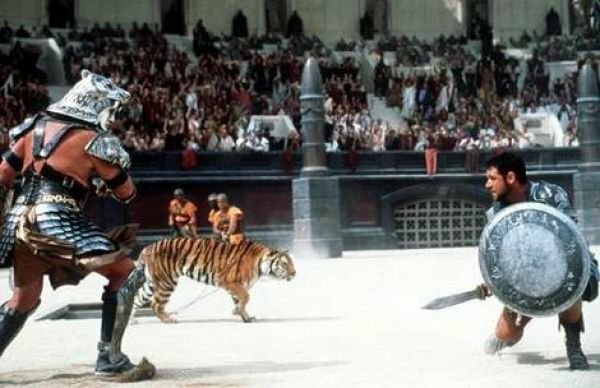 Gladiator won the Best Picture Oscar because of its epic scale, and the win over Traffic wasn't deserved. Even so, it's an entertaining film with an excellent lead performance and gorgeous cinematography. The opening battle sequence, with Crowe's Maximus rousing his men into a vicious battle, is stunning and more than makes up for some story issues. Scott tried to repeat this success with Kingdom of Heaven and Robin Hood, but he couldn't match the grand nature of this entire production. Easily Scott's most underrated movie, this clever film depicts an impressive con game where the reality isn't clear until the end. Nicolas Cage and Sam Rockwell play small-time crooks who excel at swindling unsuspecting simpletons. Cage's Roy is the type of neurotic, anti-social guy that he's born to play, and it's one of his better performances. Alison Lohman's Angela knocks him out of his misery by claiming to be his 14-year-old daughter, but she might not be on the level. The script from Nick and Ted Griffin (Terriers) keeps us guessing, but it's more about the characters than the ultimate twists in the end. What more can be said about this sci-fi classic? It remains one of the most impressive visions of the future that's ever been put on screen. Scott presents this world through an old-fashioned detective story where a stoic leading man tracks down dangerous androids. Scott has tweaked this film multiple times and wisely removed the awkward narration from the theatrical cut. He also added clues that hinted that Harrison Ford's Rick Deckard was actually a Replicant. I'll be watching the "Final Cut" for the first time next week for the Readers' Choice marathon. It will be interesting to check out the latest updates and see if they've had a significant effect on this stunning movie. Although many prefer James Cameron's action-packed sequel, I've changed my tune and now believe the original is superior. My appreciation for Alien has only grown over the years, especially after I saw it in the theaters in a re-release. The denigration of this franchise over the years confirms the talent needed to truly make this alien work on screen. Scott does an incredible job building the tension and familiarizing us with the characters and the Nostromo before all hell breaks loose. In similar fashion to Jaws, we don't see a lot of the creature, which makes its effect that much stronger. I have high hopes for Prometheus, but I don't expect it to live up to this standard. This is a once-in-a-career type of movie. I'd love to hear your thoughts about this list. 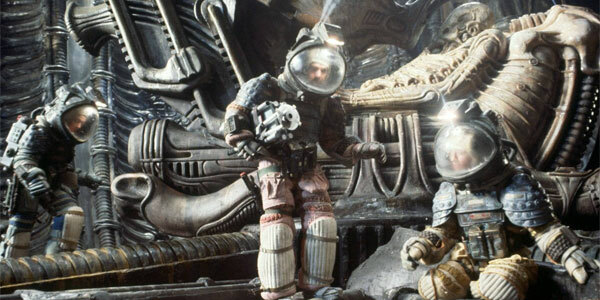 What are your favorite Ridley Scott films? You should also check out the archive of past Top 5 Lists if you've missed them. For me, Gladiator is the most stunning film of Scott's career. Can't fault Alien or Blade Runner being at the top of the list. I'd put Thelma and Louise in here over American Gangster or Matchstick Men though. I'm not sure I'd call Gladiator more stunning visually than Blade Runner, but I understand what you mean. He definitely goes for it in a lot of scenes in it. I saw Thelma and Louise a long time ago, so I didn't have a clear enough memory to even list it. I definitely need to check it out again. Personally, I'd switch Matchstick Men with Gladiator. But the front two are spot-on, Alien remains the best world he's created. It's funny that you mention that. Gladiator was #3 in my list originally and I flipped it pretty close to the end. There's very little difference between 3 and 4 on this list. I understand why some people love "Gladiator" but I just can't get through it. Everytime I watch it I fall asleep. I can understand that. I like the spectacle of the battles and the gladiator arena scenes. I'm thinking you probably don't want to check out the 171-minute extended version anytime soon then. Vern, I do need to check out Thelma and Louise again, as it's been a long time. Thanks Castor! It's interesting that you also list Gladiator as your favorite Scott film. I like it but feel like I hear more negatives than positives from a lot of people. Personally I'd put Black Hawk in over Matchstick Men and Gladiator at number 3 but I think you're spot on otherwise. I also think the director's cut of Kingdom of Heaven is outstanding. It really got butchered for the theatrical cut. Brian, I still need to check out the director's cut of Kingdom of Heaven. From what I've heard, it's a lot different and worth a look. Thanks! I've seen Alien, Bladerunner, Legend, Someone to Watch Over Me, Black Rain, Thelma & Louise, Gladiator, Hannibal, Blackhawk Down, Matchstick Men, Kingdom of Heaven, A Good Year, American Gangster, and Prometheus. Honestly, the only one I would say should really be seen is Alien. Gladiator should probably be seen because it won the Best Picture Oscar, even though it is a pale copy of part of Spartacus (1960). Most of the others are entertaining, but I don't think people need go out of their way to see them. I wouldn't say any of them were that bad, either, so people shouldn't avoid them, either. Chip, you bring up an interesting point about Scott that I noticed when putting together this list. He has a very good reputation, but it's largely built on a small group of movies. I haven't seen Prometheus yet, so we'll see how that goes. What did you think? Thanks Chip. I'll definitely check out your review after I see it. I'm trying to avoid reading much until I see it. Love seeing Matchstick Men so high on this list - that film, to me, never got the credit it deserved. I completely agree with your number 1, can't argue with Alien. I probably would've added Thelma & Louise somewhere. Love that movie! Alex, glad to hear that you're also a fan of Matchstick Men. I've been surprised at how often it gets dismissed. It sounds like the consensus is that I need to check out Thelma & Louise again. Adding it to the very long list! You've really put me on the spot here, because I have only seen Prometheus once, so whether it's in my top 5 Ridley films will remain to be seen with a rewatch pending. Thelma and Louise would make my top 5, unfortunately I have never seen Matchstick Men (maybe I should?) Solid choices, Dan. I like that Jaws/Alien comparison, interesting. I wonder how Prometheus will rank once I see it (I'm hoping to go within the next week). I'm sure it's hard to place so quickly. My Blade Runner post will go up Monday. It was fun to catch up with that film, especially in a new version. Thanks! Nice list Dan it must have been hard to pick between Alien and Blade Runner. I have never seen Matchstick Men going to have to try and check that out. Thanks! It actually wasn't that hard for me to pick, mainly because Blade Runner has a few slow moments. Plus, Alien is a classic. I've heard mixed reactions to Matchstick Men from others, but I think it's definitely worth checking out. Really cool list, Dan! I'm with you on Alien as #1 -- it's easily one of my all-time favorite sci-fi movies. I have been hearing a lot of praise for Matchstick Men lately. I really need to seek that one out. Thanks Eric! I think you'll enjoy Matchstick Men, though I know it's received some mixed reactions. Alien at #1 was an easy pick for me.